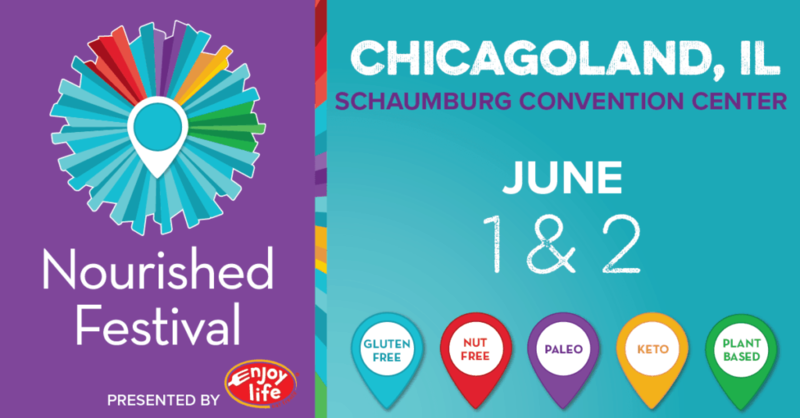 The Gluten Free & Allergen Friendly Expo is now called the Nourished Festival. In addition to Gluten-Free & Nut-Free sections, there will be Paleo, Keto & Plant-Based zones. Even in these new sections, all products at the Festival are gluten free! Have you ever dreamed of spending a whole day sampling foods without fear of gluten or contamination? 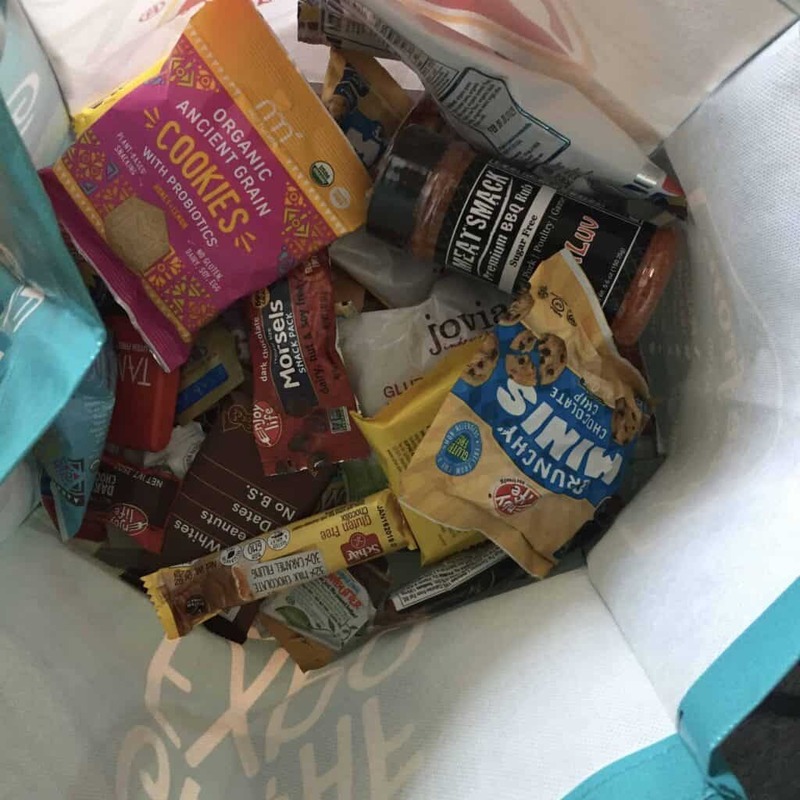 Have you ever wondered what’s out there in the world of gluten-free? Have you ever wanted to meet and just be in a room with other gluten-free people? Well guess what?! You can! Come to the Nourished Festival! It’s on June 1 & 2, 2019 at the Schaumburg Convention Center. It’s a glorious event full of gluten-free vendors! You’ll get to try foods there and bring home a bag full of delicious samples! I left last years event so full! Full in not only my stomach but my heart! It was truly a blast trying so many foods and seeing so many people like me. Oh, and the bread. There was so much bread! There were also cupcakes, cookies, and pizza galore! Here’s a few tips I learned from last year that might help make your trip even more successful! Wear comfortable shoes! You’ll be doing a lot of walking. Bring a bottle of water! My only complaint from last years festival was that liquids were so hard to find! There was nothing for sale and it’s a day full of sampling. You will get thirsty! I felt like that was a major oversight on the part of the festival. I would have gladly paid for something to drink! Nevertheless, I will be prepared this year. Don’t be afraid to buy products! If you try something you like and they’re selling it, buy it! First of all, you may not be able to find that item at the stores near you. Or, if you decide you’ll go back later to buy some, it may be sold out! I know both of these things from experience! Make the rounds! I was not afraid to go back to the booths I really liked. Sometimes the samples changed throughout the day and other times I just really wanted to give something another try. Make the most of your day and go for it! Have fun and expect a lot of crowds! Expect to wait in line, especially for the good stuff. Take it easy and enjoy the day. Chat with the people around you and make the most of it! I highly recommend the Nourished Festival! If you will be going, let me know in the comments! Hopefully I will see you there! You can buy tickets through this link. Use code EARLYBIRD for 30% off thru 4/30/19. Use code ADVANCE for 20% off thru 5/31/19. P.S. I have free passes to give away for the Chicagoland, IL expo! Follow me on Instagram and keep an eye out for the giveaway!